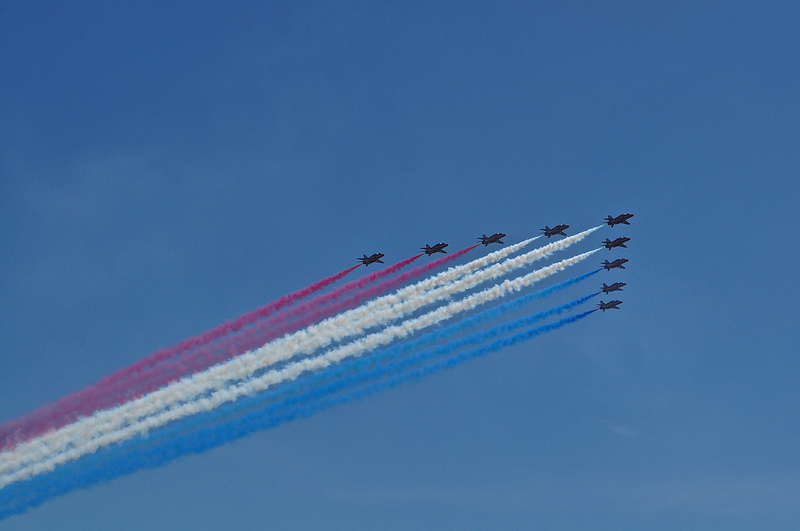 I have seen the RAF Red Arrows Display Team (Red Arrows) on the TV or flying back to base camp in the past, but this recent D-Day 70 commemoration in Southsea was the first time I had the good fortune to actually see them perform in person. 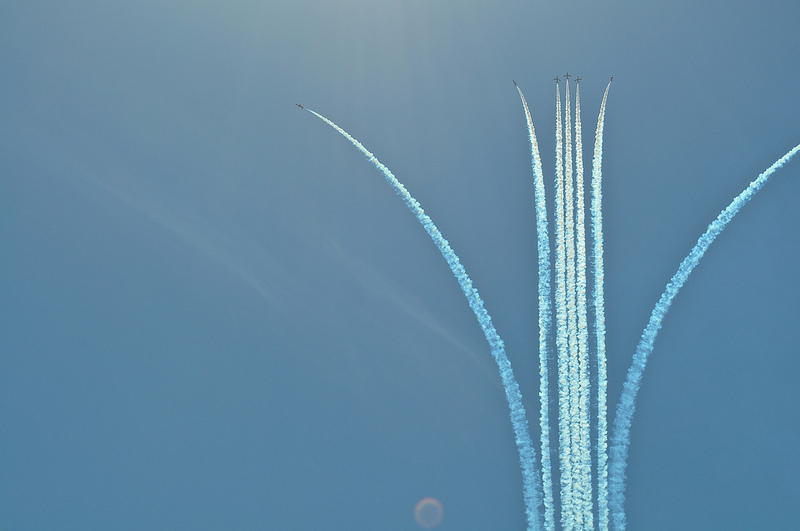 On the day, you have a member of the Red Arrows team commentating from the ground, telling us which way to look because when they arrive, they fly so swiftly, if you are looking in the wrong direction, you will have missed them! 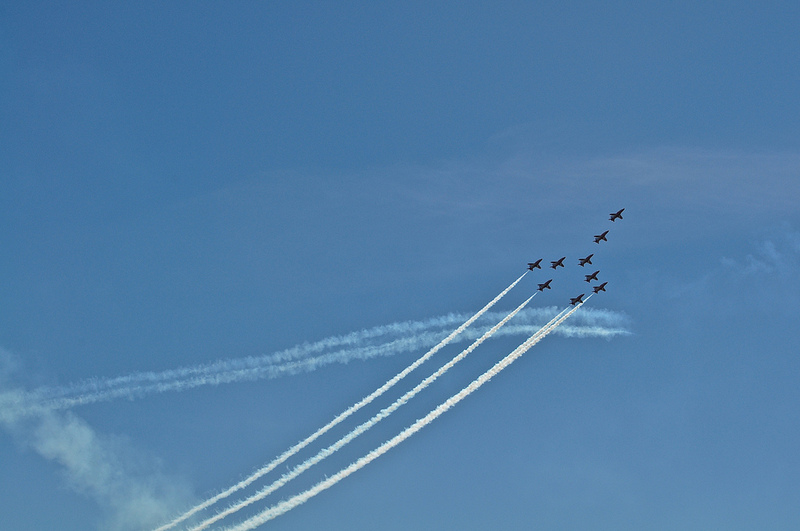 Necks twisting up and around to maximum, binoculars and cameras watching & clicking their every move, the crowd moves as one – no-one could take their eyes off these amazing pilots. Everyone was engaged, breath held, rapt attentive expressions, oohs and aahs the only comments being made by every age group from the rug rat to the silver surfers. 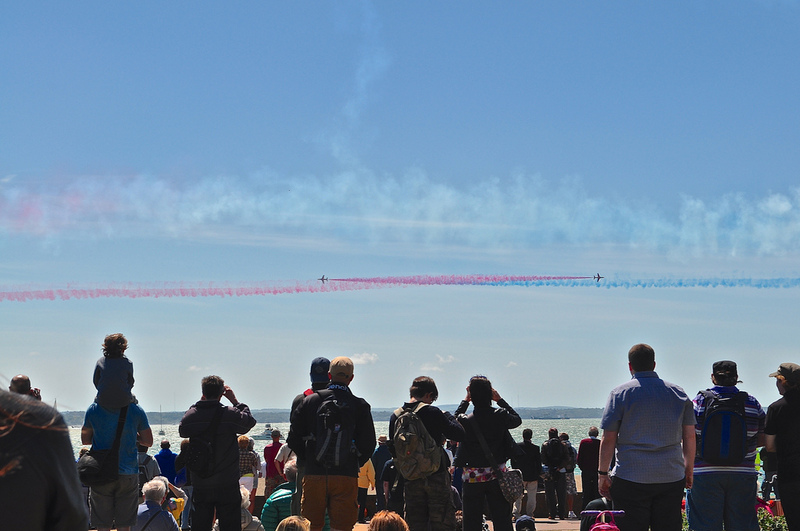 The audience is completely captivated, slightly breathless, and when the aircraft left after an awe-inspiring 20 minute display, hugely bereft. I don’t know however if I could have taken more for even as a spectator, it gives you an adrenalin high. 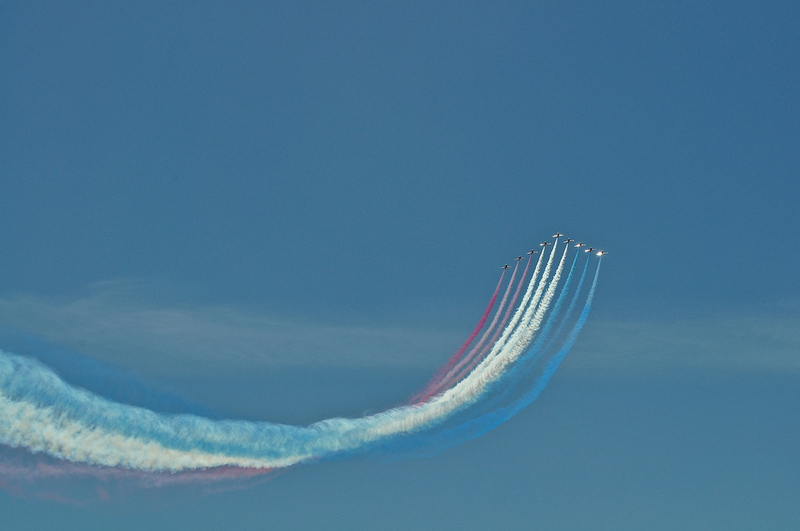 The RAF Red Arrows team represents the speed, agility and precision of the Royal Air Force and is their public face. They were formed in late 1964, training to perform in the 1965 season and this year marks the 50th year of their display season. Currently, the pilots are flying BAe systems Hawk T1 jets and in the main section of the display, are flying up to five times the force of gravity or 5 gs. 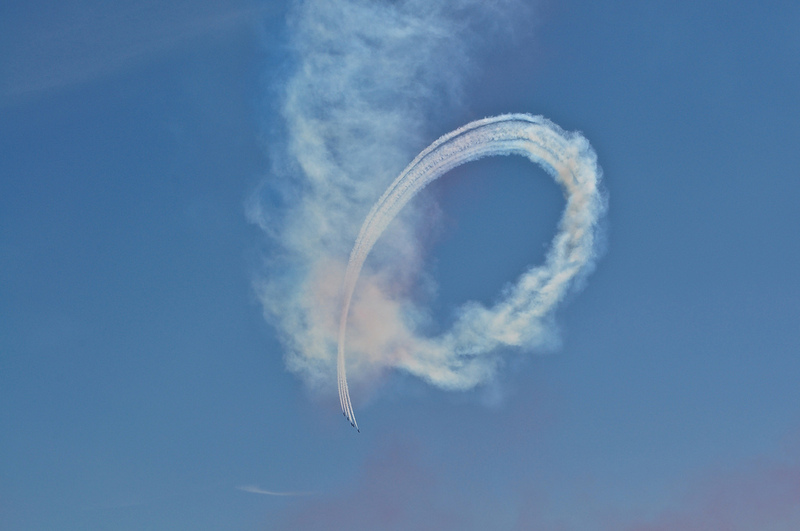 For the vixen break, the pilots are flying 7gs and even go up to 8 gs. I applaud these young pilots and have now become a huge fan of their work. 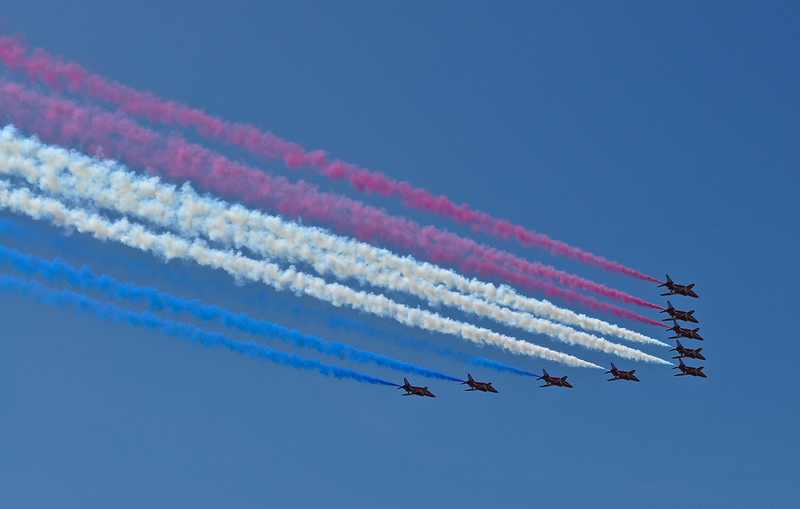 If you are British, it does make you feel intensely proud to see the skill set of the Red Arrows crew and I am not surprised that they are much in demand all season. I can’t wait to see them again. For full details of their programme,click here. 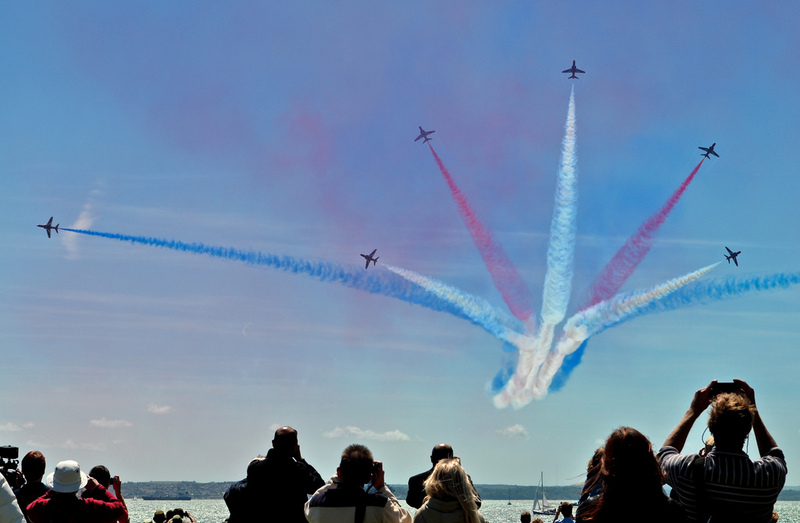 Follow the RAF Red Arrows on Twitter @RAFRedArrows using the hashtag #Reds50 for this current season and on Facebook/RAF Red Arrows. ← The Lavender Fields are Calling!